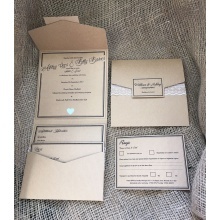 A personalised wedding invitation is your guests' first glimpse of your wedding, so I know how important it is that the wedding invitation represents your style, wedding theme and has the perfect finish. 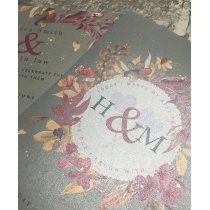 At Design By Michelle I pride myself on providing elegant, unique and high quality wedding invitations that truly fit your style and personality.Over this following sections you will find all the current designs available please just click on the image to see the full range. 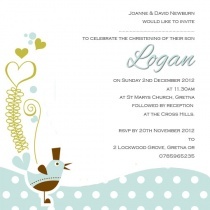 All design are available as day invitations, evening invitation or thank you cards. 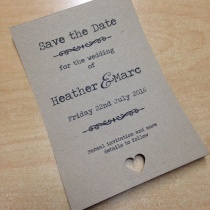 Any design can be adapted to suite your wedding theme or colour scheme.All of my invites are made by hand and every detail is chosen by you. 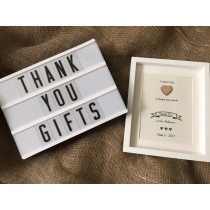 From the wording which can be traditional with the names of brides parents as hosts or can be words you choose.All cards include an envelope and a FREE rsvp to complete your invites. 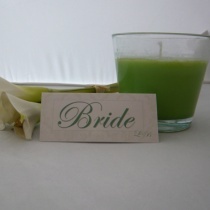 Your invites can have the guest names printed inside FREE OF CHARGE. 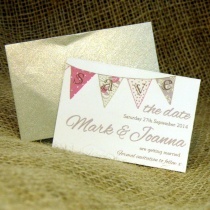 This replaces the little dotty line you will see in many invites on the market today.If you wish to have your full range of wedding stationery made by Design By Michelle I can offer you an attractive discount to help you with your budget.All of my designs form part of a complete set from place cards to table plans so your theme is carried throughout.Samples can be sent of any invitation in colour of your choice. 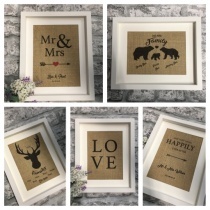 I do have to charge a small fee just to cover postage costs.I am in the process of updating my website so will be adding more designs and ranges soon. 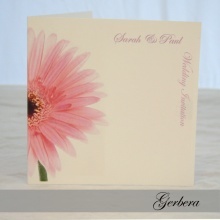 The Gerbera collection is a fresh & beautiful range boasting the Gerbera of your choice, prominent in the background which can be carried thought your whole theme.This design is exceptionally beautiful and very modern at the moment as Gerbera’s are in the the top ten of bridal choice for flowers and look stunning in all colours. 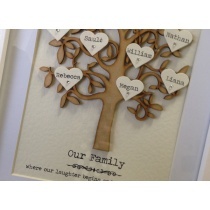 This design can be any colour to match your colour scheme. 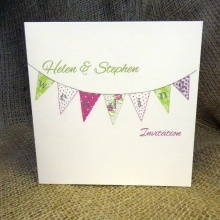 The Jubilee collection boasts a gorgeous bunting pattern very in this year with brides and event planners.The pattern is carried throughout the invite so not only the outside looks stunning but the inside does too. 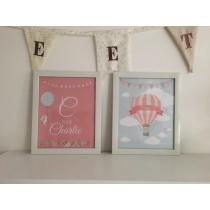 The pretty feminine colours of pink and green make this collection an ideal choice for many couples colour schemes but these can be changed to any colour to match your colour scheme. 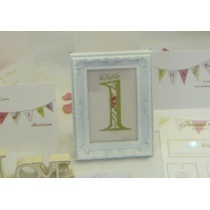 These are simply a beautiful range which recently featured in Your North East Wedding Invites. 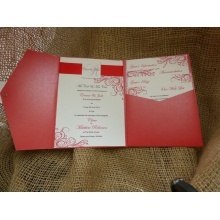 The Karft brown and lace work so well together and will make your wedding invites stand out from the crowd. 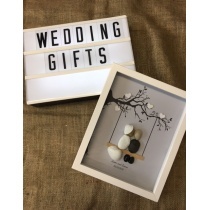 They are sized 6"x6" inch and hold a pocket at the bottom for you to give your guests all the extra information they need to know about your big day. 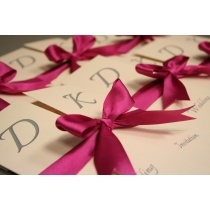 Each invite comes with matching RSVP included along with all your guests names printed in them and a matching envelope. 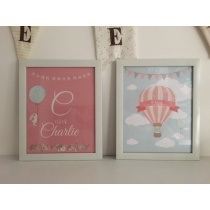 Prices for this range do vary depending on what card stock you require inside and how many information cards you require. 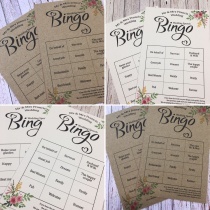 Our exclusive Amore range can be colour matched to your specifications so you can pick out an exact colour from your chosen flowers, wedding dress, bridesmaids' dresses, gentlemen's cravats or reception colour theme. 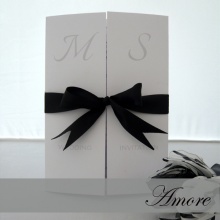 In these examples we have shown a dramatic black and white theme - perfect for a contemporary event. 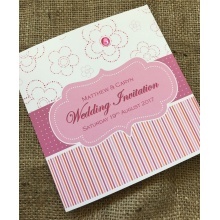 The three love heart design gives that feminine touch on a very classy range.Invites can be cream or white as you will see from the sample images. 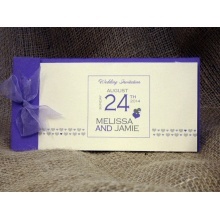 Announce your special day to friends and family in the most elegant of ways with our pocket wedding invitations. 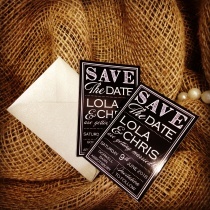 They come in a variety of styles and designs, from contemporary to vintage, so you are sure to find a pocket invite that matches your wedding theme. 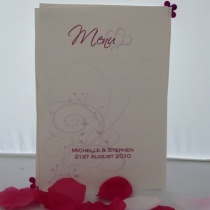 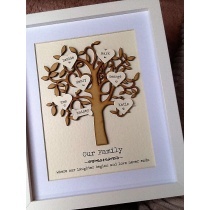 You can have them designed to match your style and wedding colour scheme. 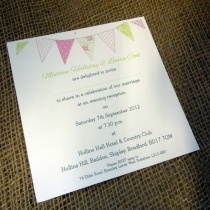 Send me and email at info@deisgnbymichelle.co.uk to discuss your wedding colour scheme.